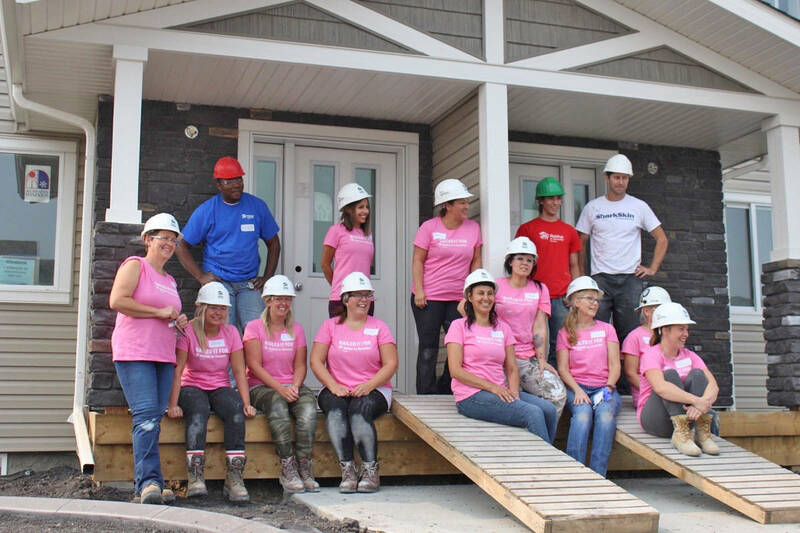 Habitat for Humanity in Red Deer held its first ever women’s build on Aug. 23rd in the Aspen Ridge neighbourhood. “We’ve never done one before in Central Alberta. We’ve had around 14 volunteers come out for this event. It’s been really fantastic. We have a whole bunch of women. We have a professional painting company called The Curvy Brush Painting Company out and one male volunteer, so it’s been great,” said Natasha Bhola, volunteer and communications coordinator at Habitat for Humanity Red Deer. The new build the women are involved with is a duplex, which will be the future home of two families in need – a family of four on one side and a single mother and her son on the other. Donning pink t-shirts, the women had the chance to meet other women in the community, learning new building skills and supporting local families to achieve affordable home ownership. Bhola said she is hoping to do the women’s builds four times a year. Completed construction on the new duplex is set for early November.